European Containerboard Machine Conversion Study - Fastmarkets RISI - Objective Insight. Better Decisions. As the European graphic paper industry remains in a state of secular decline, many producers are continuing to struggle with overcapacity. As an option, some mills are looking to, or have already converted their machines to produce packaging and specialty papers. Due to its similar basis weights and high volume commodity nature, containerboard has been seen as the most typical conversion product. Fastmarkets RISI’s new study European Containerboard Machine Conversion Study analyzes a variety of factors to identify available capacity for conversion, and potential impact it would have on containerboard markets. It is the first study available that details all current cases of converted graphic paper machines to determine feasibility by machine type. 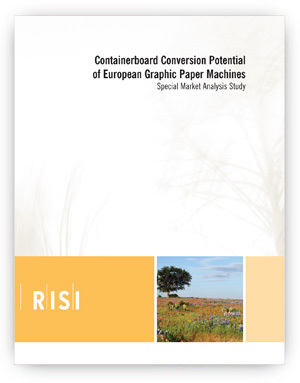 In this study, Fastmarkets RISI has analyzed the containerboard conversion potential of graphic paper machines. 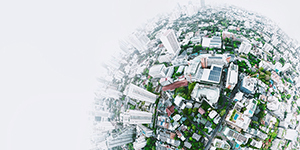 First, our economists have provided an outlook for both the graphic paper and containerboard markets, explaining the phenomena behind the current market situations and the near-term forecast. Second, our engineers have gone through selected previous conversion cases, including their known technical details and investments. In the conversion potential analysis, our engineers first analyzed 282 currently operating or recently closed graphic paper machines located in Western and Central Europe. This part focuses on the key characteristics of each machine, like current trim width, technical age, capacity, products, fiber furnish and energy assets. Based on this, 128 of the most feasible machines were screened for cash and direct manufacturing cost analysis, which included estimates for not only current graphic paper production, but also for potential post-conversion containerboard benchmark products (lightweight unbleached kraftliner and (ultra-) lightweight fluting/corrugating medium). Costs were analyzed as a cost curve position and in comparison to both low and average cost producers. As the actual probability of a conversion case is a complex function which cannot be calculated on purely data alone, our expert team also provided its view on how likely it considered each case, including both probability (%) and discussion on issues behind the score. In summary, this timely study provides valuable answers to the important questions concerning conversions.